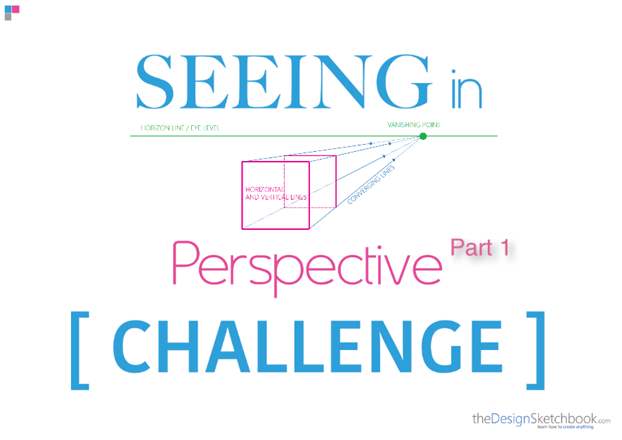 Pretty often beginners feel overwhelmed in front of perspective. There is so many lines going here and there that we even don’t know how to start. 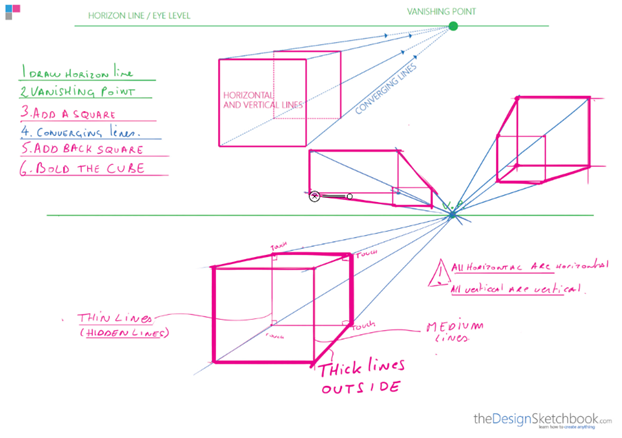 So I made this video to show you stroke-by-stroke how to set the perspective scene and draw a cube inside. 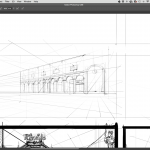 In this video, you will realise it’s actually pretty easy. 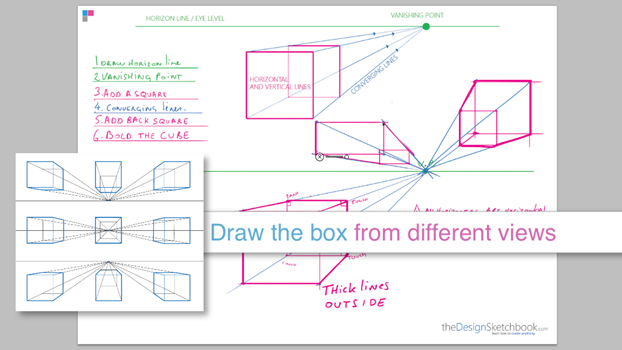 At the end of today and a bit of practice, you will know how to draw a cube in multiple angles forever ! 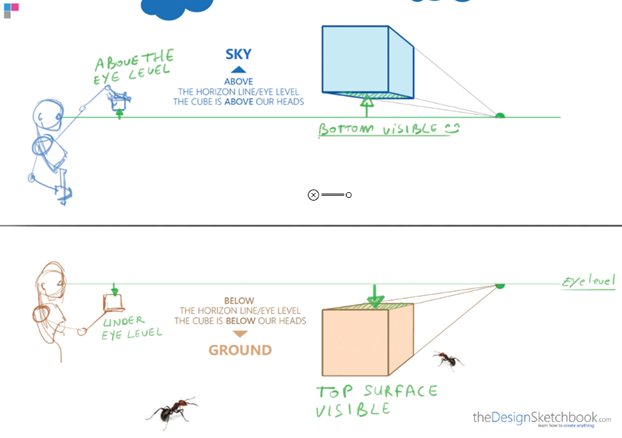 Tutorial in few pictures below. 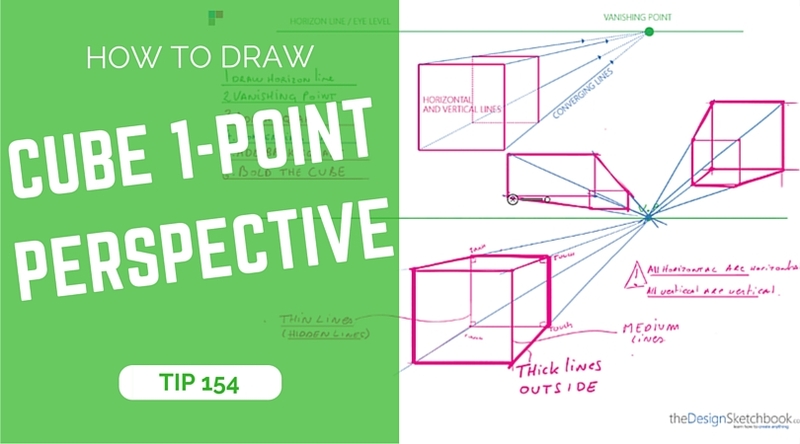 For the next video, (the last one o the series of 6 from the Designer Starter Kit) I will show you how to draw a cube with 2-point perspective. 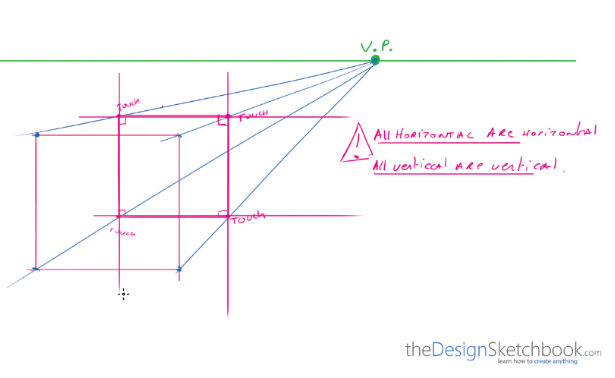 Let’s now look at How to sharpen your sense of proportion with that easy trick of division. 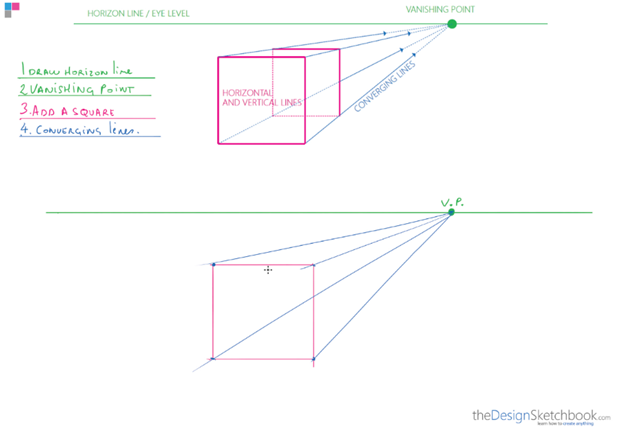 Hi Chou-Tac, if a cube is in 1-point perspective, you won’t be able to see the outside of its sides and in 2-point perspective, you won’t be able to see any 90 degree corners. Hello Rene, I am not sure I understand what you mean. Do you mind reformulate ? 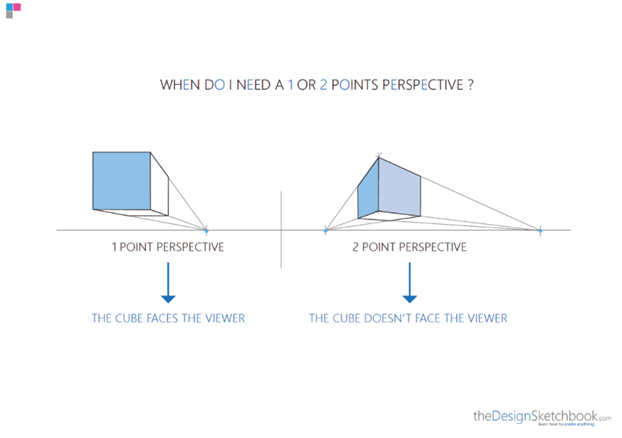 I mean, if viewed from 1-point perspective, we can only see only 1 side of the cube. 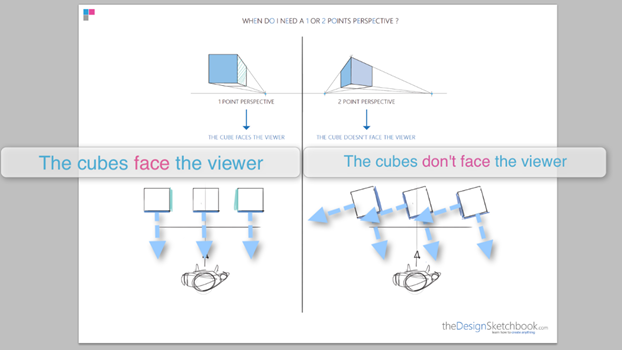 If we can see more than 1 side, it will be 2-point or 3-point perspectives, then the sides that we can see will no longer be a perfect square. What you say it’s true. 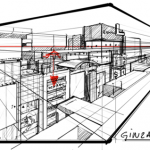 1 point perspective is actually a simplified version of 2-point perspective. 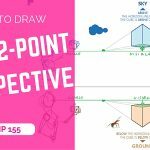 As well as 2-point perspective is a simplified version of the 3 point perspective. Basically we should draw everything with 3 points ! Haha. 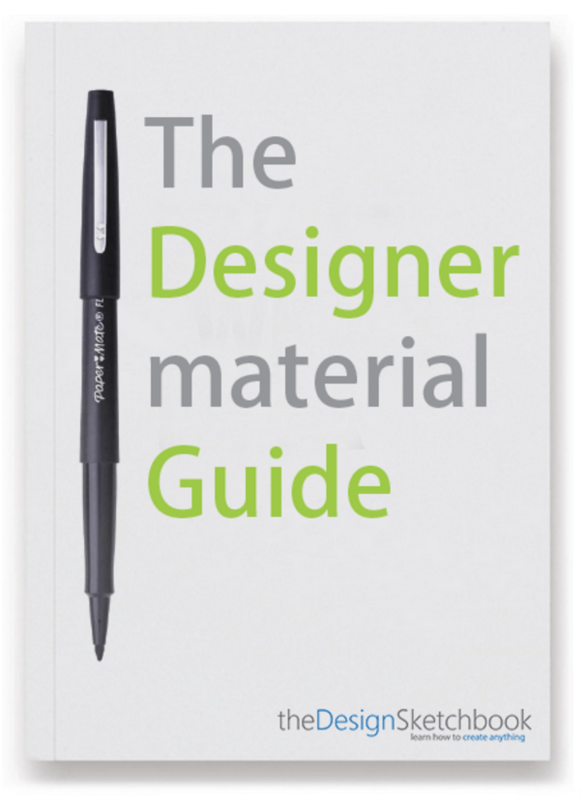 But in sketching, we like to use method that makes our life easier. 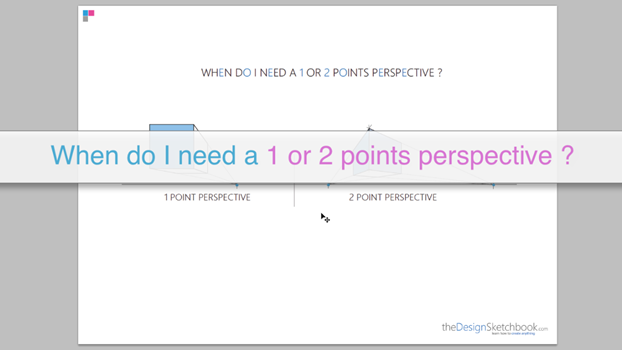 2 and 3 point are the most common perspective I use. 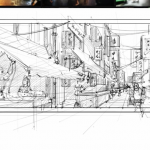 But 1 is convenient for a room, a street with no high building for example.